Germany, with its 16 unique regions that offer a mix of cosmopolitan cities and picturesque medieval towns, is becoming increasingly popular with travelers from all over the world. The country is packed with fascinating attractions, from the Berlin Wall to Heidelberg Castle. The most iconic German monument is the Kolner Dom, a breathtaking Gothic cathedral in Cologne that took more than 600 years to build. The climate in Germany is similar to that of many other European countries, with hot summers, cold and snowy winters, and scattered rain showers throughout the year, meaning that an umbrella will always come in handy. To experience the best of the German climate, plan your visit for between May and October, although winter sport fanatics will have the best time when visiting between December and March. Germany has some incredibly beautiful landscapes throughout all of its different regions, and is a country that has always had a deep fondness for Mother Nature. The Bavarian Alps are the best spot for winter sports, whilst the Sachsische Schweiz park, just south of Dresden, has some stunning mountain ranges with sheer cliffs that are perfect for rock climbing. There are plenty of medieval towns dotted around the country, and these are always fun to explore as they give you a great taste of traditional German culture. Some towns and cities are so rich with history that they have been declared UNESCO World Heritage Sites, such as the city of Goslar, with its grand imperial palace, and the town of Quedlinburg, with 1600 half-timber houses. 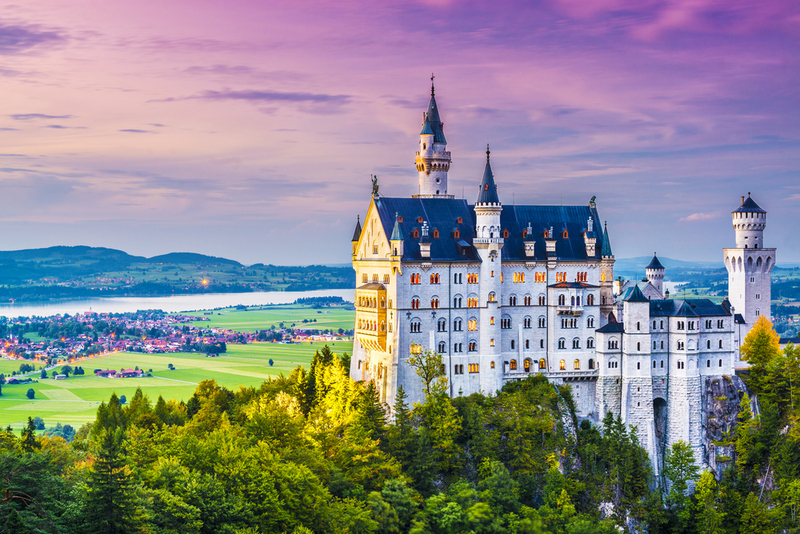 Neuschwanstein Castle, which inspired the Disney castle, can be visited as a day trip from Munich, and is well worth the visit. German cuisine, whilst not as popular around the world, has lately been seeing a resurgence, thanks to talented young chefs that are reinventing traditional dishes. It is said that Germany has over 1200 different types of sausage, each with their own flavor and texture. Although meat tends to dominate most menus, the Germans also have a love for vegetables, and you will find an abundance of spinach, stuffed cabbage and white asparagus. You will also find plenty of tasty Turkish street food options, as well as many Asian restaurants. Unlike its food, the beer that Germany produces has made its way into the hearts of people all over the world. Since the Purity Law of 1487, only three ingredients are allowed to be used when making beer; water, barley and hops. You may think that this would limit the beer options, but the 1400 breweries, that are producing over 60 types of beer, ensure that there is always a good variety, from pale ales to powerful heavyweights. The nightlife scene is also strong in many German cities, with Berlin in particular holding the title for the most ‘fun’ city in the world. The nightclubs are unpretentious and laid-back, with many of them forbidding the use of photography. You will also find plenty of bars and pubs all over the country. 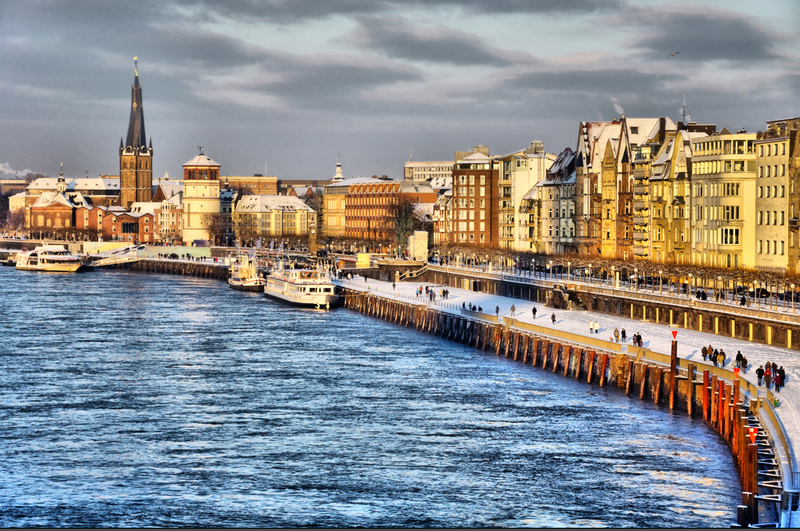 Another hot and happening city famous for its zippy nightlife is Dusseldorf. The city is also home to an exclusive OROGOLD destination, which certainly warrants a visit while in Germany. Each year, Germany’s calendar of events is jam-packed with festivals, such as Oktoberfest in September and the wine festivals in November. There are also traditional Christmas markets in most towns each December, something that many people specifically visit Germany for. No matter where your interests may lie, you are bound to find something to excite you in Germany. The richest city in Germany, Düsseldorf is the state capital of North Rhine-Westphalia, and is a fashionably elegant metropolis that has thrived in the economic success of postwar Germany. Although most of the city was destroyed during the war, it has since been rebuilt, complete with a restored medieval quarter and historic landmarks that have been closely recreated. The Old Town, with its 16th Century Town Hall Square and historic churches, has over 300 different cafés, bars and pubs, earning itself the reputation of being the ‘longest bar in the world’. Those of you who want to experience more of Düsseldorf fascinating rich history need to visit the art collections at Museum Kunst Palast, as well as the Hetjens-Museum, also known as the Ceramics Museum. For a more relaxing way to take in the sights of the city, historic trams offer guided tours of Düsseldorf’s most popular landmarks. Being the wealthiest city in Germany means that there is no end to the number of restaurants and shops that you will find throughout Düsseldorf. Königsallee, commonly known simply as Kö, is the city’s main shopping boulevard, lined with trendy boutiques and sophisticated stores. At the other end of the scale is Carlsplatz, a popular daily market located at the southern end of Altstadt. You will also find many smaller, local shops around the Altstadt, selling regional specialities. With hundreds of bars, pubs and restaurants, you will never be short of somewhere to relax, whether you are in the mood for international fine dining or a local street snack. Although Düsseldorf is a modern, cosmopolitan city, it retains its sense of heritage and culture, which slowly but enticingly reveals itself to the travellers who take the time to delve deeper into the roots of the city. Ich habe am Samstag den 18.07. einen Kosmetiktermin im Oro Gold Store Düsseldorf, den ich absagen muss. Leider kann ich nirgends im Internet die Telefonnummer finden. Ich hoffe, dass die Mail ankommt. ist es möglich bei Ihnen das aktuelle Magazin mit Brian Austin Green auf dem Cover zu bekommen? For a copy of OROGOLD Lifestyle Magazine featuring Brian Austin Green, please contact our store in Dusseldorf. Guten tag Oro Gold Team! Ich habe eine frage, ob möglich ist bestellen bei ihnen products Oro Gold und ob das möglich versenden innerhald Deutschland oder nach Schweiz? Sie können OROGOLD Produkte online bei http://www.orogoldcosmetics.com bestellen. Bitte beachten Sie , dass internationale Aufträge können abhängig von Steuern oder Zollgebühren zu sein.